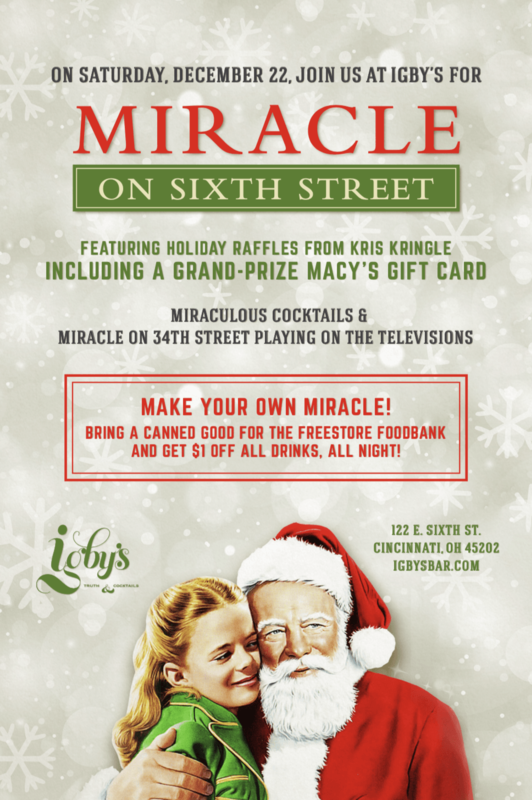 2)	Igby’s is hosting a “Miracle on Sixth Street” on December 22. Guests that bring canned goods and deposit them into THE designated box will receive a wristband good for $1 off drinks throughout the entire night, in addition to one raffle ticket for a variety of prizes. Guests will be able to earn additional raffle prizes throughout the night.